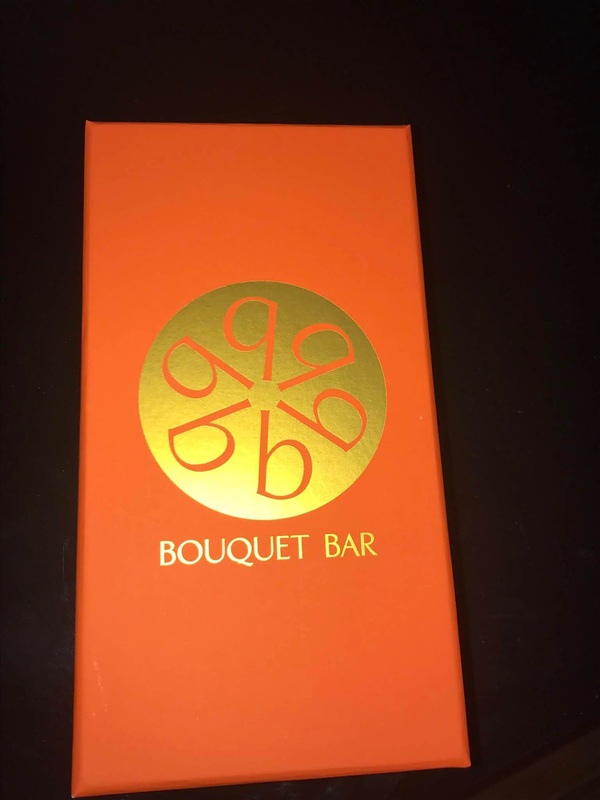 Bouquet Bar is a gifting system that is designed to help you create the perfect gift for your special recipient. You may recognize the name from popular television shows that they appeared on. 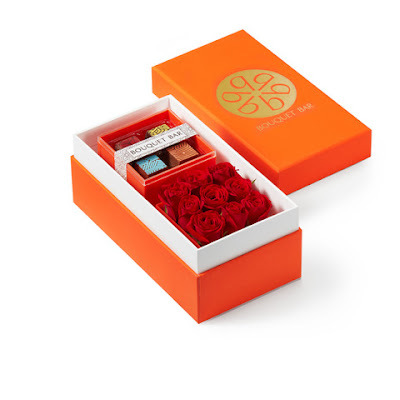 Pick a special designer box from the menu of gift options that are available. The boxes are well made and durable. Choose the perfect gift for your loved one whether it be special candies or flowers, etc. You can shop by occasion and even choose corporate gifts on the website. The process is very simple. 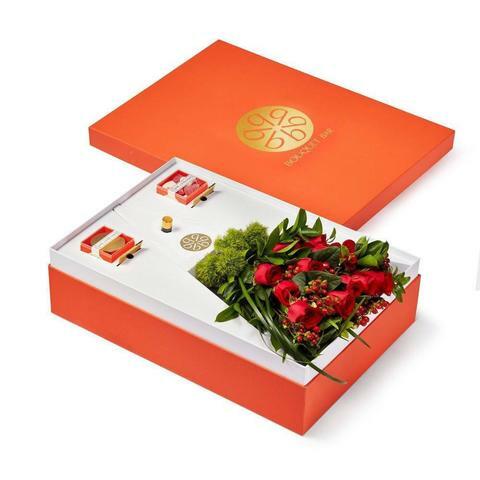 You can even include beautiful flower bouquets in your box. 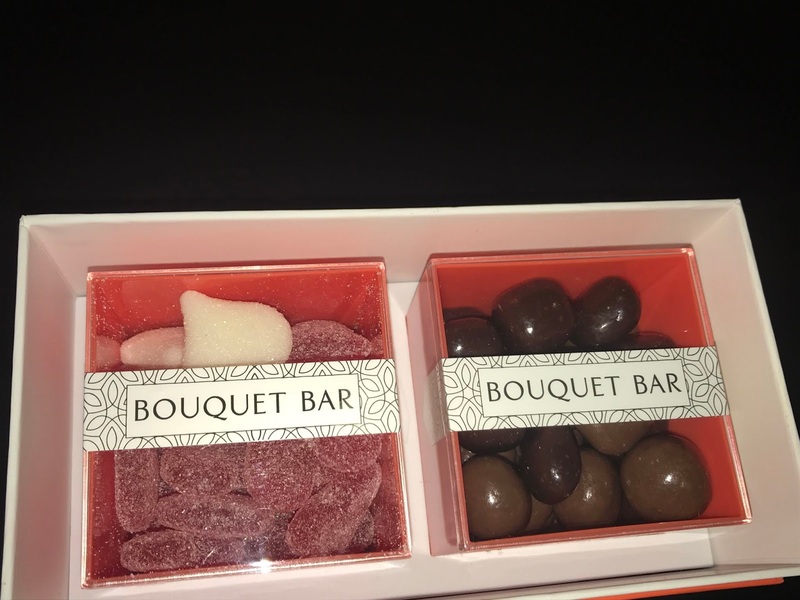 I received a special box from Bouquet Bar that contains two of my favorite candies, chocolate and gummies. The box is very fine quality and has a luxurious look. The contents were delivered in pretty heavy duty plastic boxes that can be reused. You can see the care and pride that they take in their product by house their gifts are presented. I was very pleased. This Valentine's Day, give a special designed gift from Bouquet Bar! 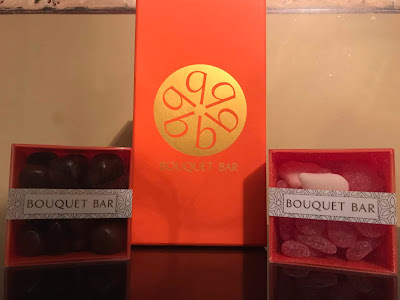 Visit the Bouquet Bar website and click on the VDAY tab to see the special designed boxes, or, create your own. 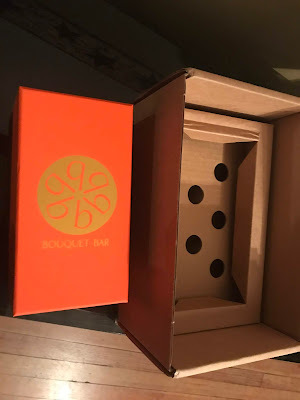 Bouquet Bar is an innovative gifting company, which launched in January 2017 and is rapidly redefining The Art of Gifting. 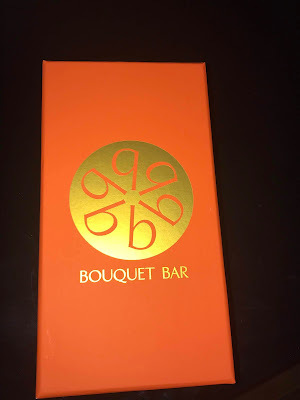 Founders David, Alex, and Sal took a simple idea to make the gifting experience unique and meaningful and brought it to life with the birth of Bouquet Bar. David and Alex are the owners of the glamorous floral design company, Square Root Designs, which grace lavish hotel lobbies such as the iconic Four Seasons Beverly Wilshire Hotel, the Ritz Carlton Dana Point and some of the most exclusive weddings and events in Southern California. The duo were continuously approached by clients in search for the perfect floral gift and it was quickly evident that customers were looking for something different and innovative, but more importantly something that would be consistently perfect. Bouquet Bar focuses on bringing excellency to floral design, in combination with a variety of delightful treats, creating the perfect luxury gift at the click of a button. Come and experience an entirely new and beautiful way to gift. This is a beautiful and creative presentation! I would love to receive something like this! Thanks for sharing!